Fannie Bay Super Pizza is an amazing kid friendly restaurant. 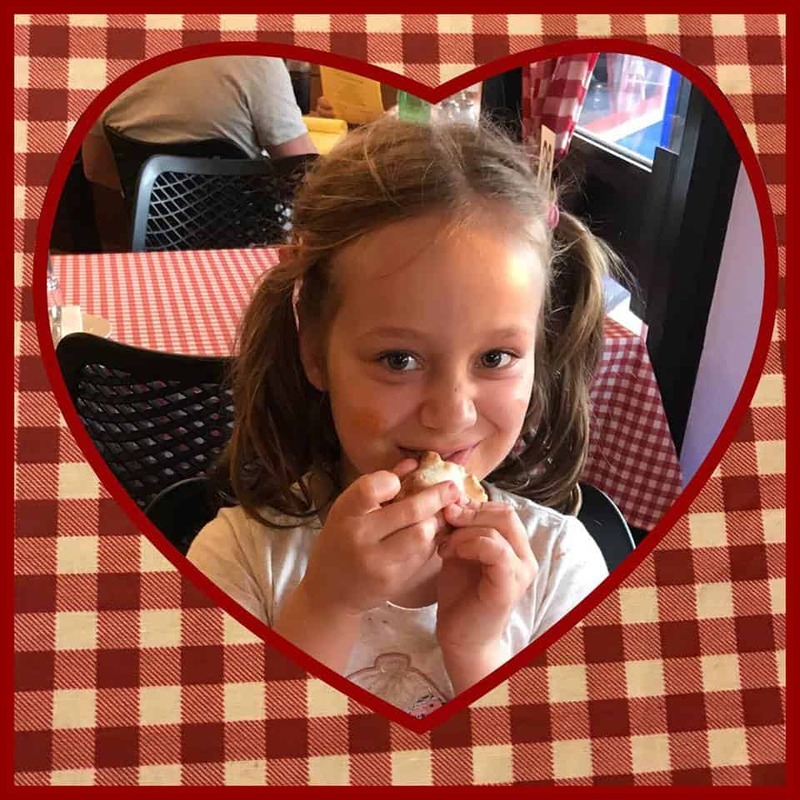 As a Mum to four young kids I know taking kids out to dine at a restaurant can be challenging and tricky most of the time. Will the kids like the food, will the kids be too noisy or messy, will it be too busy, is the place family friendly? What do they have to keep my kids entertained or will I have to put an Ipad or my phone in front of them to keep them busy. 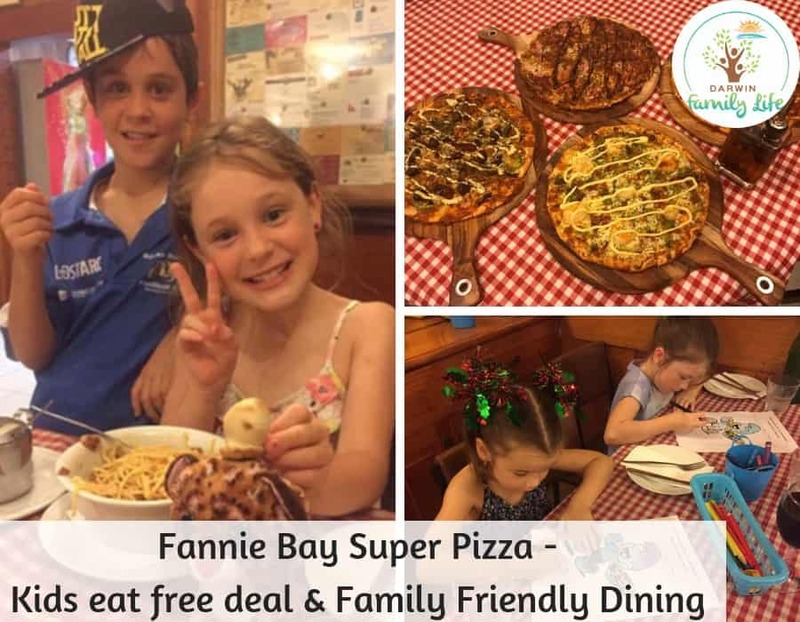 Fannie Bay Super pizza ticks all the boxes for a family friendly restaurant and it is fast becoming a favourite place for my family to go to. Fannie Bay Super Pizza has also launched their new KIDS EAT FREE deal! Which for my family is always helpful to save a little when dining out as it can quickly become expensive with lots of kids and adults. The kids eat free deal is available every night of the week. You simply have to ring up (8981 7324) and book your table for 5.30 pm and arrive then. Children 12 years and under then will eat free with each dining adult. (Eg two adults and two kids – both the kids will eat free). The kids can choose off the kids menu (or a garlic bread pizza) for their free meal. For dessert they have vanilla ice cream with sprinkles or toppings. What kid doesn’t like spag bol or pizza? BUT the best thing about Fannie Bay Super pizza is the DOUGH! 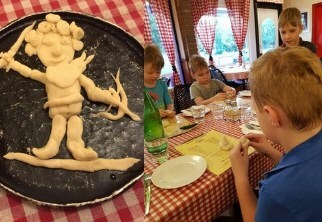 The kids were so excited that they could play with dough while they waited for their dinner and they got to even have their dough creations baked! How cool is that! It was just like play dough and the waitress brought around a ball for each of my kids to play with. Was a great idea to keep them all entertained – and so simple! 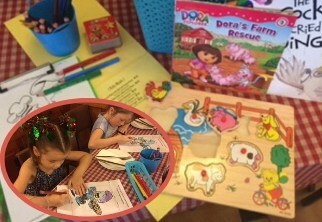 Other than the dough masterpiece creations Fannie Bay Super pizza also has a kids area with lots to keep them entertained: puzzles, toys, colouring in, books and lots more. The food is not only great for the kids it also delicious for the adults too! To start your meal try the speciality garlic pizza bread. The famous ‘Garlic Pizza Bread’ is made on pizza base with Mozzarella, Parmesan & Garlic Butter (GF option available). My kids absolutely love garlic bread and this was a winner too! 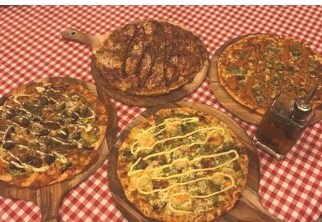 Their range of delicious pizzas include traditional varieties and specialities including the Aussie, Meatlovers, BBQ Chicken, Hawaiian, Calzone, Garlic prawn pizza to the Golosa, Fannie Bay Lover and new Seven Seas! The Golosa (The LOT) – has bacon, capsicum, ham, Italian sausage, mozzarella, mushroom, olives, onion, pepperoni, and pineapple. Fannie Bay Lover has chicken, bacon, capsicum, mozzarella, mushroom, onion and shallots. The Seven Seas has delicious prawns, calamari, salmon, scallops, barramundi, clams and anchovies on a delicious garlic base, with shallots and tasty mozzarella cheese. That is only a FEW of their pizza range there is something for everyone and they even have a new gluten free pizza available now too which has had rave reviews. Their pizza’s come in a variety of sizes from Baby to Extra large – perfect for families sharing! Their pasta menu includes traditional lasagne, Pumpkin, Spinach & Ricotta Cannelloni, Housemade Gnocchi, Tagliatelle Pollo Picante and Spaghetti Gamberetti. Vegan, Vegetarian & Gluten Free options available. If you’re not feeling like pizza or pasta they have other options available. Other meals on their menu include Ribeye steak, Grilled Barramundi & Maison Sauce, Spicy Sicilian Prawns and several salads plus many other options. 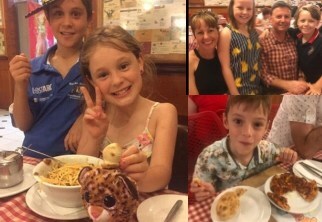 So if you’re looking for a fabulous family friendly place for dinner, a night off cooking – Fannie Bay Super Pizza Italian Restaurant​ is your answer! 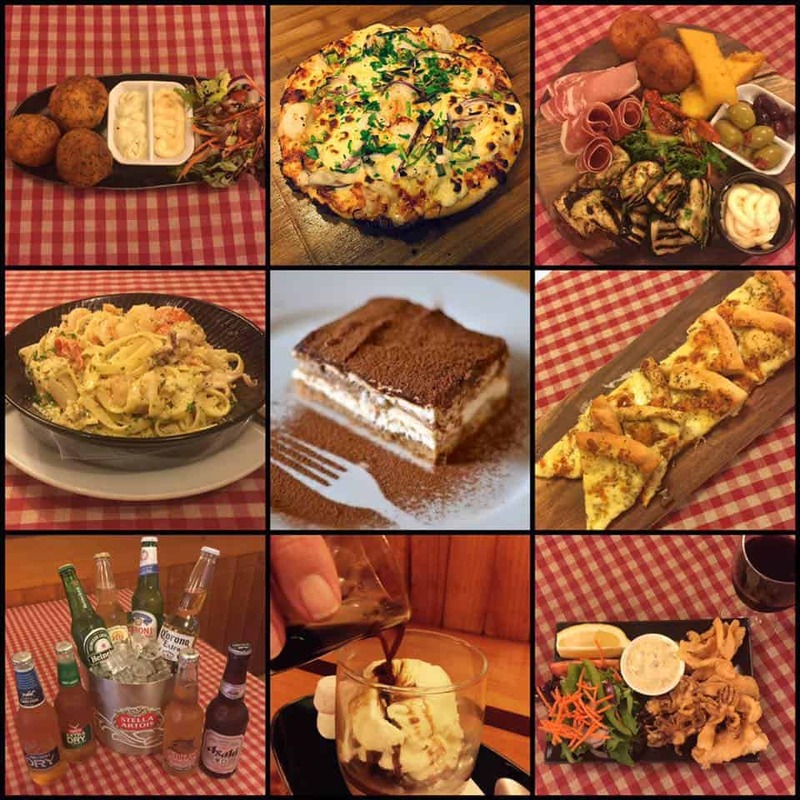 Super friendly staff, great for families and of course delicious traditional Italian food! Call and book your table today for 5.30 pm and get the kids eat free deal!